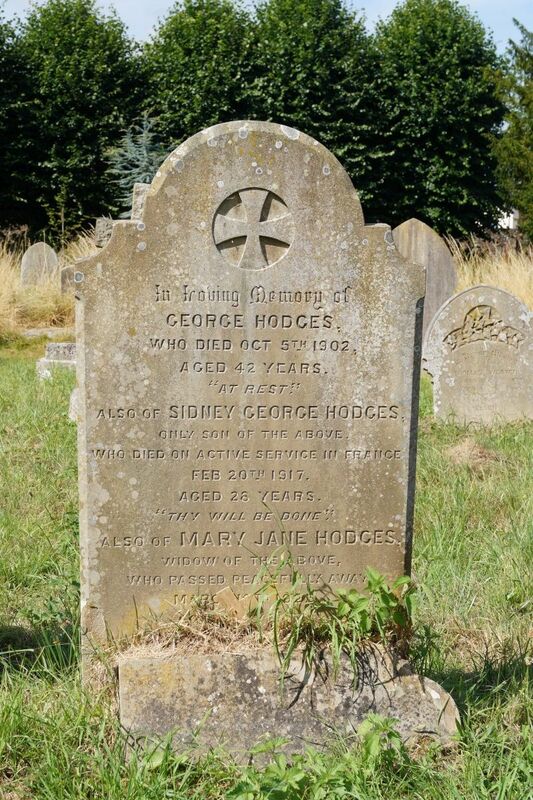 In loving memory of George Hodges who died Oct 5th 1902 aged 43 years. "At rest." Also of Sidney George Hodges only son of the above who died on active service in France Feb 20th 1917 aged 28 years. "Thy will be done." Also of Mary Jane Hodges widow of the above who passed peacefully away March 16th 1922 aged 72 years. "Peace perfect peace."